In March this year, the Sydney Mechanics’ School of Arts marked our 185th Anniversary with a week of celebrations that included our the Annual General Meeting, a bus trip to Seaham in honour of one of our founders, Henry Carmichael, and a dinner in our original building (now the Art House Hotel). A limited edition souvenir photo book has been created to commemorate the occasions. 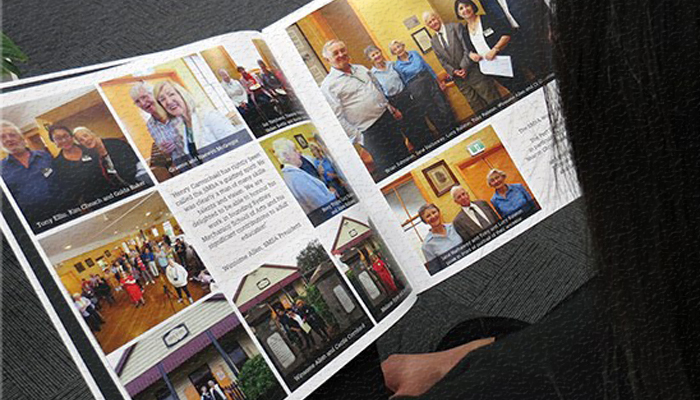 The 30x30cm hardcover book features 24 pages of full colour photos of the celebration events; an address from our President, Winsome Allen; and a lovely poem penned by one of our members. 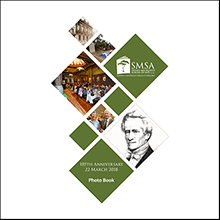 A limited edition souvenir photo book to commemorate SMSA’s 185th Anniversary celebrations is now available for purchase from the Library. The Photo Book is available for purchase for only $20. Get your copy from the Level 2 Library, but hurry — limited stock available!